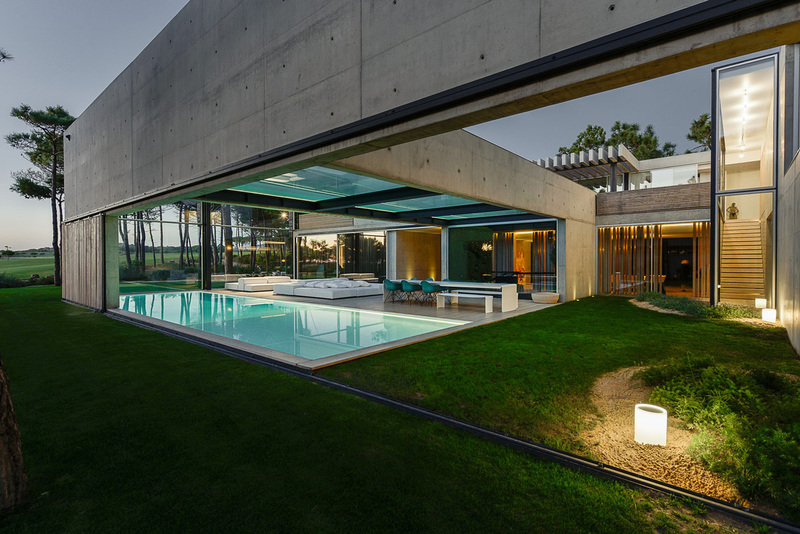 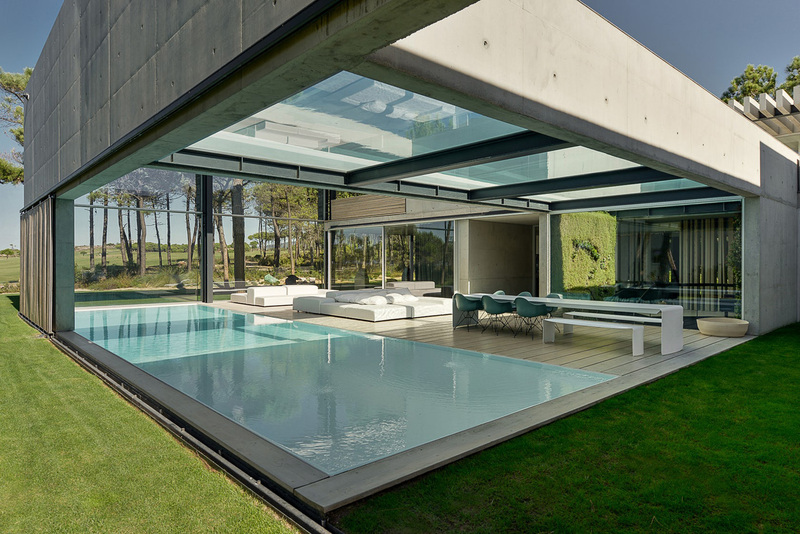 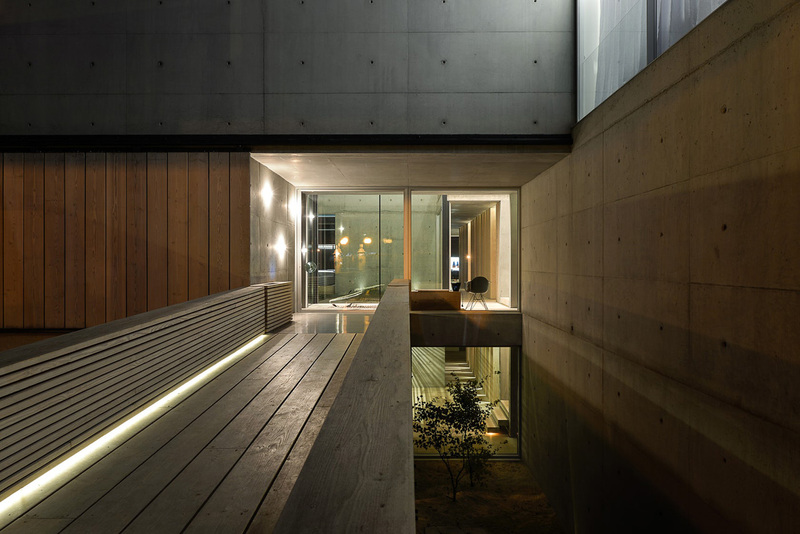 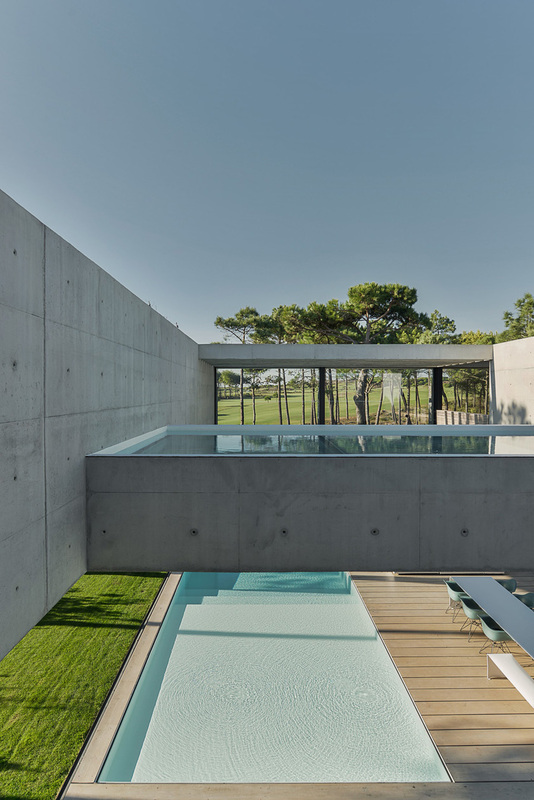 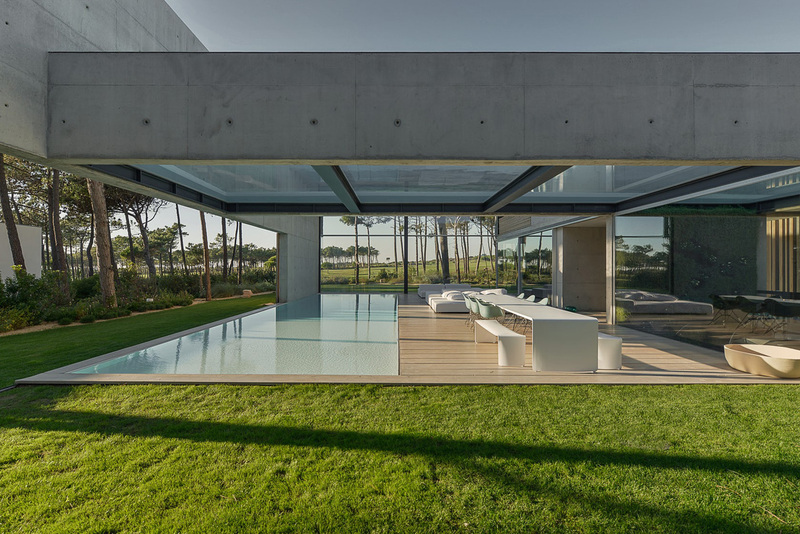 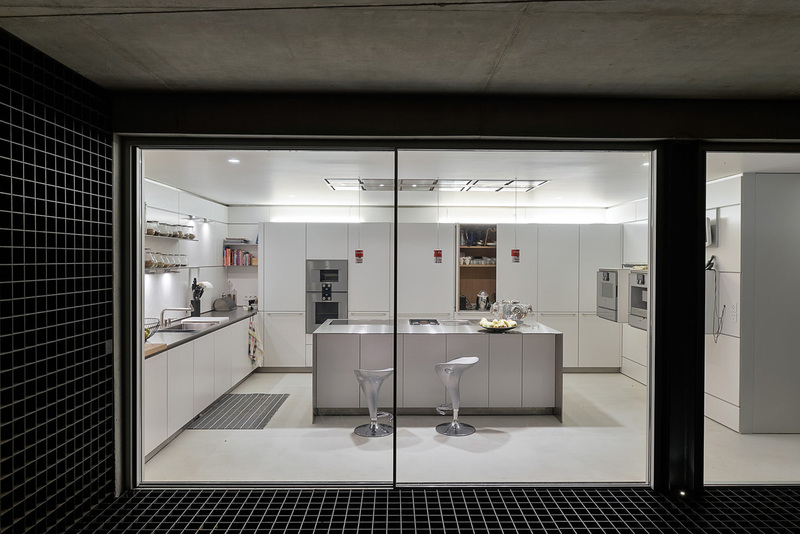 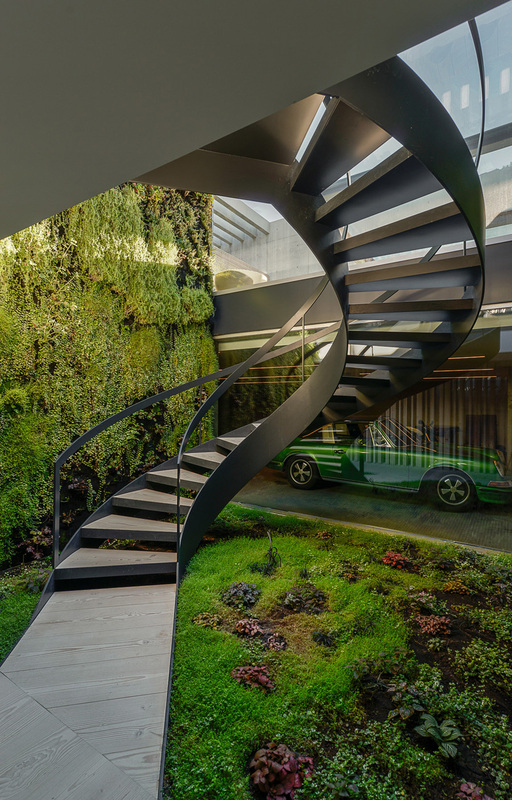 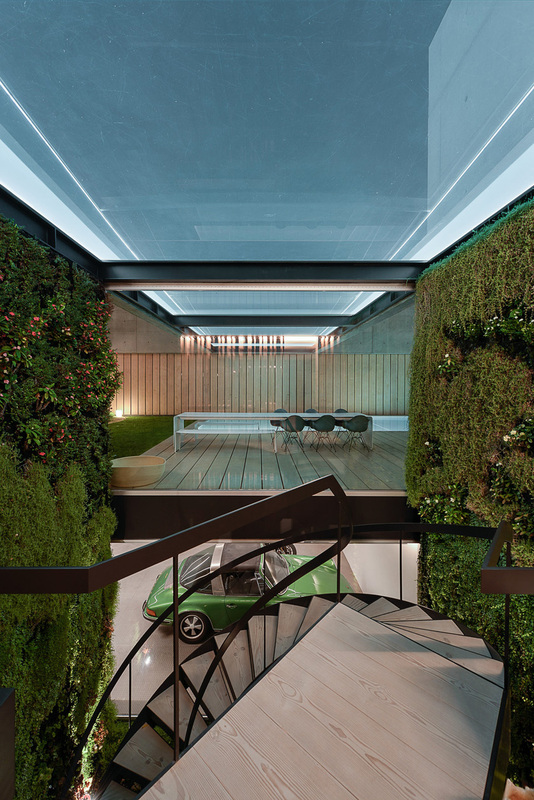 Take a look at this stunning private residence by Guedes Cruz Architects. 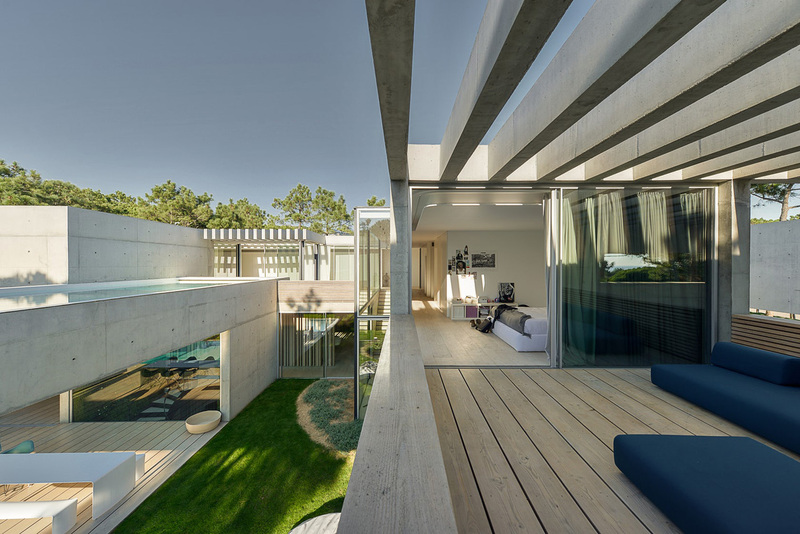 Like a wall in a Castle not in stone, but in concrete, glass and wood. 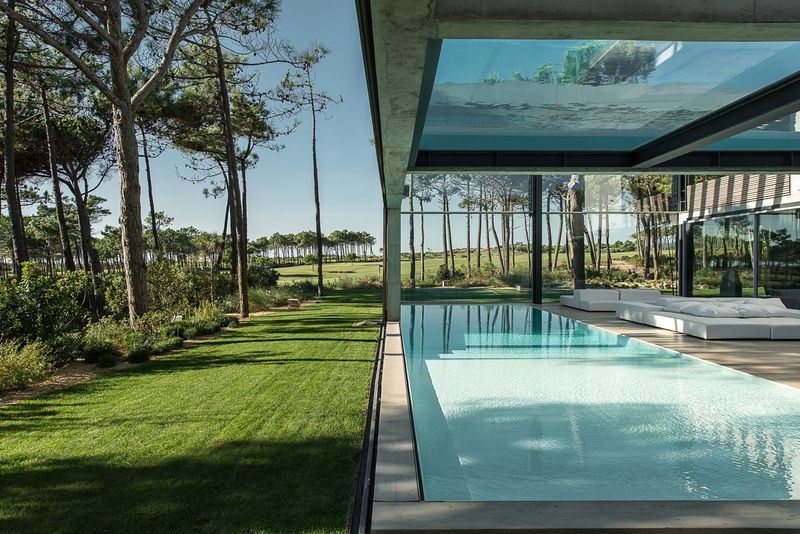 Not to for protection but because of the neighbours and the strong Atlantic Wind. 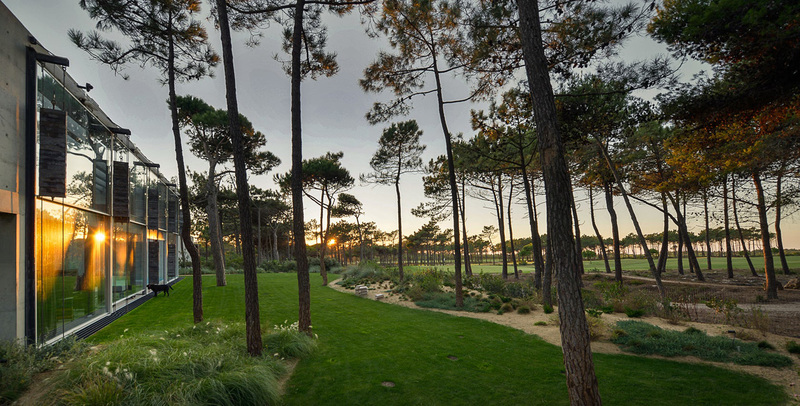 A Patio house with a Mediterranean country culture in the hardness Atlantic Coast. 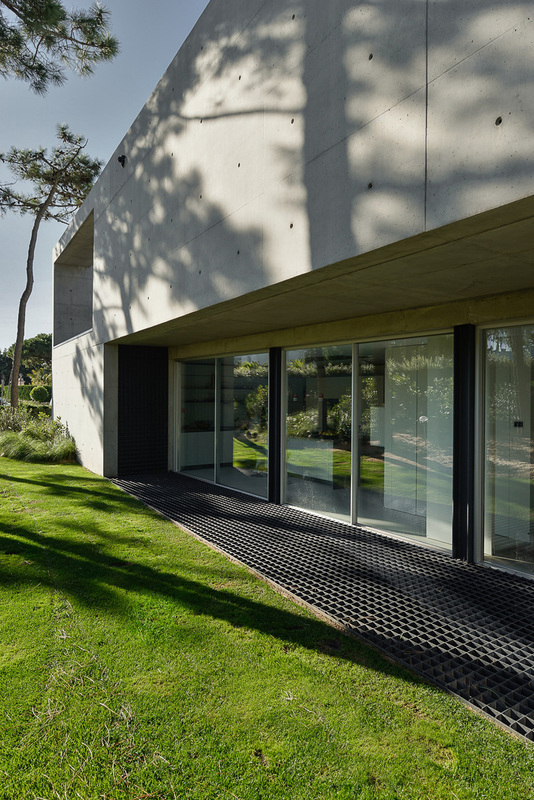 A big Window opens to the golf and scenery sea views can be seen from the interior and exterior spaces. 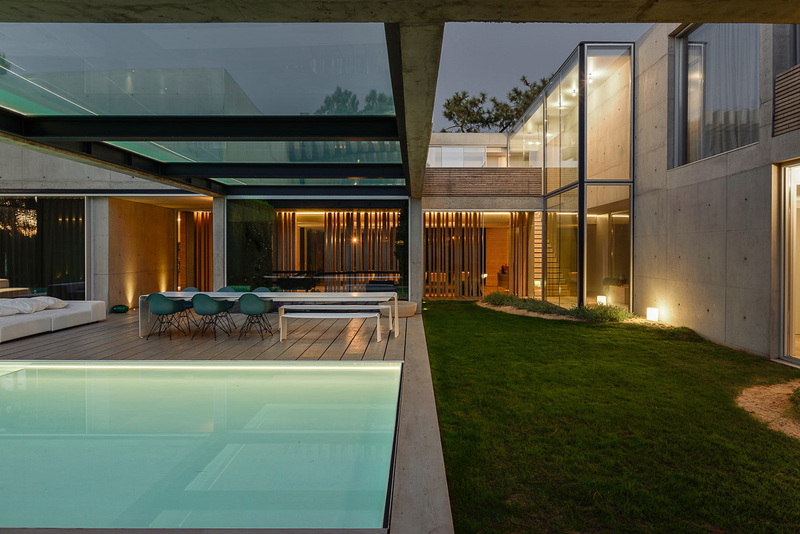 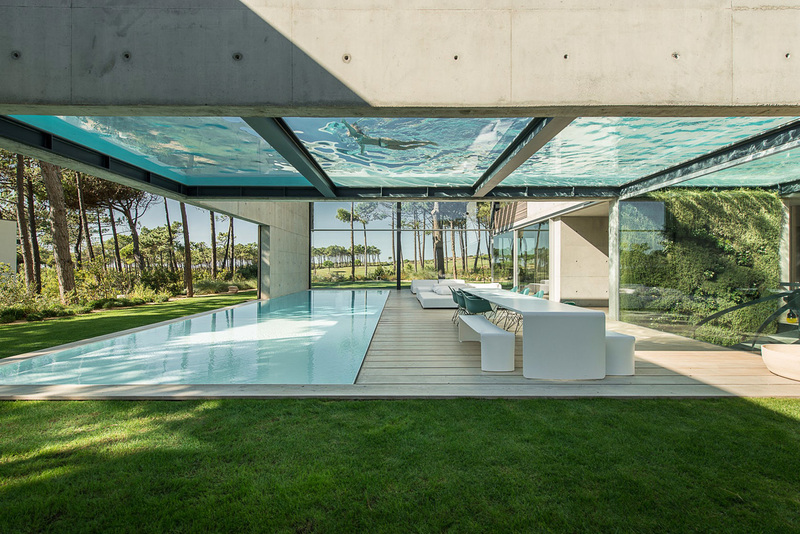 Two exterior pool’s located in the patio crossing each other, one in the ground and the other in the air.